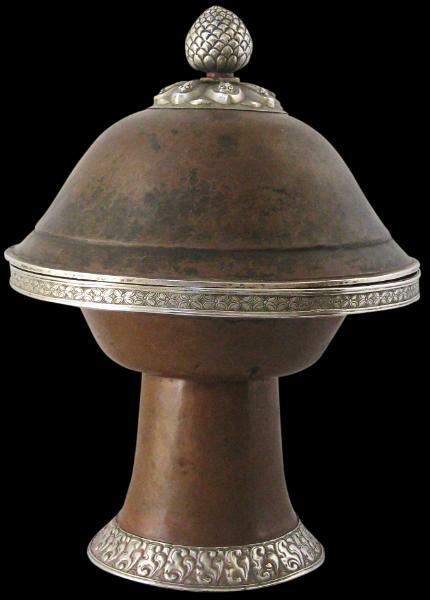 This relatively large covered taza is of hammered sheet copper with silver-alloy mounts. The stem foot has a gradual flare and the domed cover is surmounted by a prominent bud-like finial that rises from a repussed lotus petal mount. 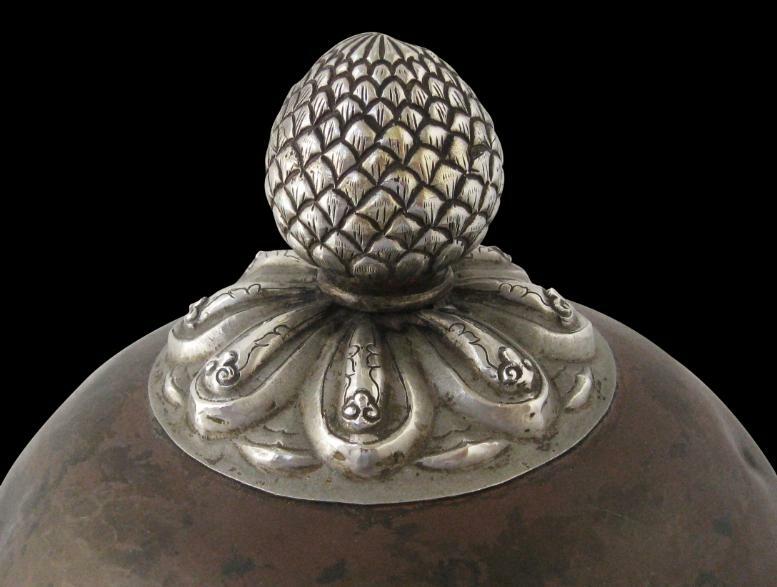 The outside edge of the bowl is overlaid with a band of silver engraved with stylised prunus blossoms. The taza was designed to store and display food, most probably for an important banquet. The interior has been tinned to stop the food from coming into contact with the copper. Overall, the item with its unusual toadstool-like form is very decorative. 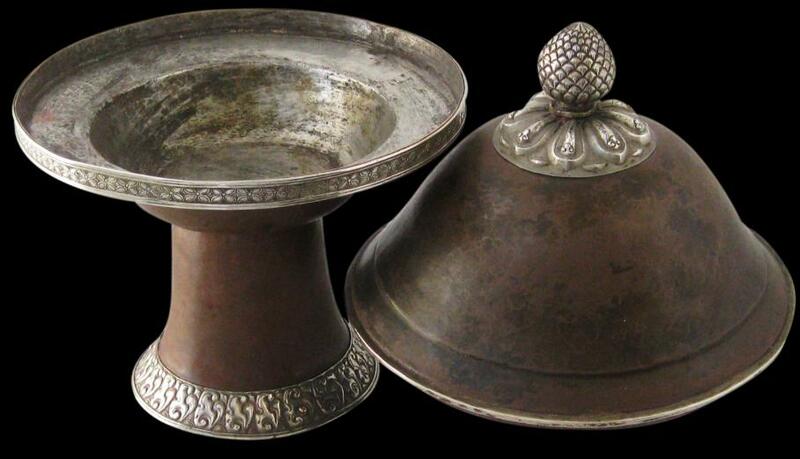 No other similar form Tibetan taza has been published to our knowledge.